This was FIVE STARS for me. Yes, I know screenplays aren’t typically liked, but I really enjoyed it. The paper cover? Gorgeous. I enjoy the colors (so totally Ravenclaw). The creatures within the 1920s art deco feel are so pretty. Best cover by far for me. Under the cover? 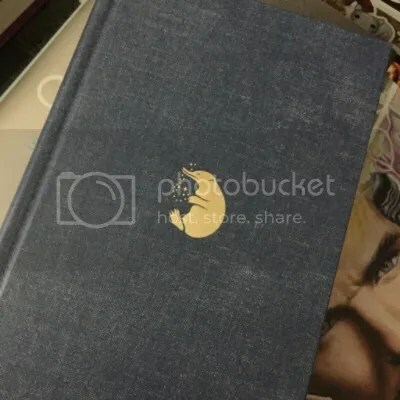 A pretty denim blue book with a gold Niffler embossed. So cute! The polka dot end papers are whimsical and adorable. Inside, there are a lot of art deco type design on every page. 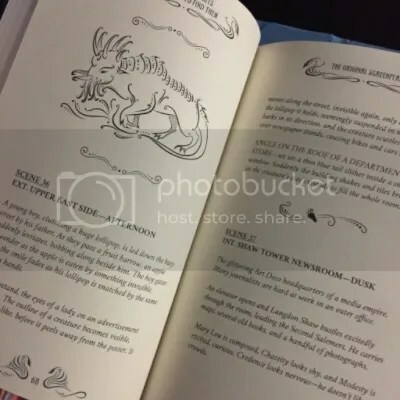 Some of the pages throughout have creature prints or the actual creatures emerging through the design. Very aesthetically pleasing. 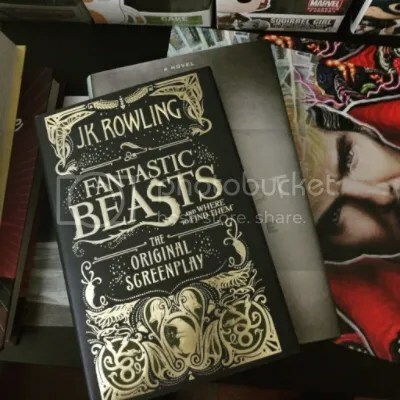 As for the story… Newt Scamander, whom we’ve all heard about being the author of the book Fantastic Beasts, arrives in New York City in search of a rare creature. In his casee, he carries his incidentals, or so the human setting tells the customs official. In reality, he transports his collection of beasts. So when his case gets accidentally exchanged with an unsuspecting human, chaos was bound to break…Add in a power hungry wizard, GRAVES, and the US version of the Ministry of Magic, MACUSA, and you have this entire new world within the Wizarding one that was pleasant to visit and a joy to read! HIGHLY RECOMMEND just for the new story alone.